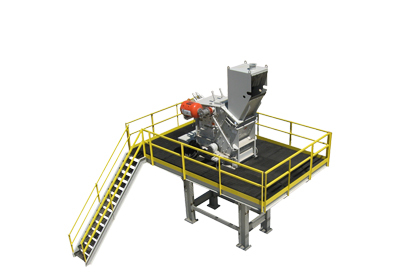 Stedman has the engineering experience to design, manufacture, and install custom crushing and bulk material conveyor handling systems. Bulk material conveyors are useful in handling and transporting a variety of materials throughout processing. Designing and deploying size-reduction systems takes experience. See how teamwork integration can help improve design, manufacturing and installation processes by reading this ROCK PRODUCTS magazine article. Whether you are starting a new process or retrofitting an existing one, contact Stedman to discuss your custom size reduction system, bulk material conveyor and project needs. At Stedman’s Testing and Toll Processing Facility, if it can be crushed, ground, pulverized or mixed, chances are we’ve done it. With more than 10,000 reports on file, you can easily compare feed particle size distribution, energy usage, finished product particle size distribution and wear metal estimates. To learn more about what to expect from testing, read this article that ran in POWDER BULK ENGINEERING magazine.